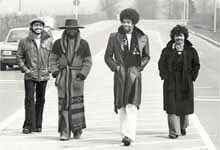 Return to Forever is Fusion Jazz group was started in 1972. The person who started the whole new concept at the time was Chick Corea. Today, the members of the band are Chick Corea, Jean-Luc Ponty, Stanley Clarke, Lenny White, and Frank Gambale. Initial members of the group were Chick Corea, Stanley Clark, Flora Purim, Airto Moreira and Al Di Meola. Return to Forever was considered to be one of the Jazz band which promotes Jazz-fusion as one of the core of Jazz genres. Early influence to the band was mostly Latin oriented music. Corea’s piano was packaged in a southern atmosphere by the coordination of percussion playing of Airto Moreira and the grounded bass playing of Stanley Clarke. Flora Purim, wife of Airto Moreira voiced the band’s tune with her vocal. Corea was behind the music composition and lyrics was mostly composed by Neville Potter. Both Corea and Potter were into scientology and it was quite explicit in their musical composition. The band’s first album was released first in 1972 in Europe. ECM Records recorded their album. One piece in this album which were two of Corea’s signature composition was Crystal Silence and La Fiesta. Not long afterwards, Corea collaborated with Aorto, Clarke and Tony Williams forming a band for Stan Getz’s album Captain Marvel. Return to forever had their second album entitled Light as a Feather in 1973 and was released by Polydor. In this album included the famous “Spain”. After the second album, Farrel, Purim and Moreira formed their own band. They were then replaced by Bill Connors (guitarist), Steve Gadd (Drumer), and Minggo Lewis (percussionist). But after a while Gadd, due to his increasing demand as session drummer let the band go and he was replaced by Lenny White. The fusion atmosphere is somewhat changed into a jazz-rock style and quite similar to progressive rock. The portion of jazz in their composition and style of playing was dominated by the sound of distorted guitar. And Stanley Clarke had almost turn to electric bass guitar by then. Vocals were not present in their composition. Nevertheless, Return to Forever did not lost their loyal fans and even drew the attention of more. This lead to the development of the characteristic playing style of Corea and Clarke. Corea also played synthesizers and keyboards, adding to the sound variety of his piano. Clarke had also experimented on his electric bass sound and found his characteristic flange and fuzz-tone effects to be his sound signature. Bill Connors decided to focus on his solo career and he was replaced awhile by Earl Klugh. But he was soon replaced by Al Di Meola. At his young age of 19 years old, Meola took over the part of the session guitar and he played on the album recording sessions. In 1975, the band recorded their following album “No Mystery”. The album showed their interest in a more variety of playing style. A Jazz funk on one side and Corea’s acoustic style on the other. Each member of the band composed contributed at least one track. This album has won them the Grammy Award for Bes Jazz Performance by a Group. In 1976 the band recorded the Romantic Warrior Album. It was the last “classic” lineup. This album was the best selling album of the band and often lauded for the stellar composition and the superb musicianship of all the members. They did one album after that in 1977 entitled Musicmagic. Corea’s wife Gayle was on vocals and the lineup featured a four piece horn section. After a multi-million contract deal with CBS, Clarke was shocked by Corea’s decision not to include White or Di Meola in the following project. Later that year the band split. Di Meola commented that the main reason for the split was because of Clarke left Scientology. But indeed it was their personal choice. In 1983 the band got together briefly for a for a stage performance but did not record any album. They recorded one track which was included in Corea’s album entitled “Compadres”. Then in 2008 the original lineup of Return to Forever who are Corea, Clarke, White and Di Meola got together for a tour in the United states. The band gave their fans a little something to remember them. A box set of digitally remastered albums Hymn of the Seventh Galaxy, Where Have I Known You Before, No Mystery, and Romantic Warrior was made available. 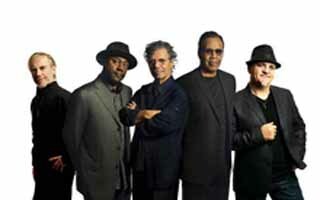 The band formed the fourth lineup consists of Jean-Luc Ponty, Lenny White, Corea, Stanley Clarke, Frank Gambale and performing a world tour in Australia.